This Soft Flash Diffuser is great for all flashes. It will give your pictures a softer effect by softening harsh shadows and reducing hot spots. It can be attached in seconds and it is easy to carry anywhere you go. Flash units produce a harsh light, even when used with the little plastic built-in diffusers or reflectors. To work close to the subject, you often need to soften this light. Soft flash diffusers are here to help. Soft flash diffusers not only diffuse the light, they spread the light as well, reducing the maximum working distance between your flash and the object. Flashes with diffusers installed and tilted to 45 degrees give a nice soft wrap around the light with a soft shadow behind the subject. 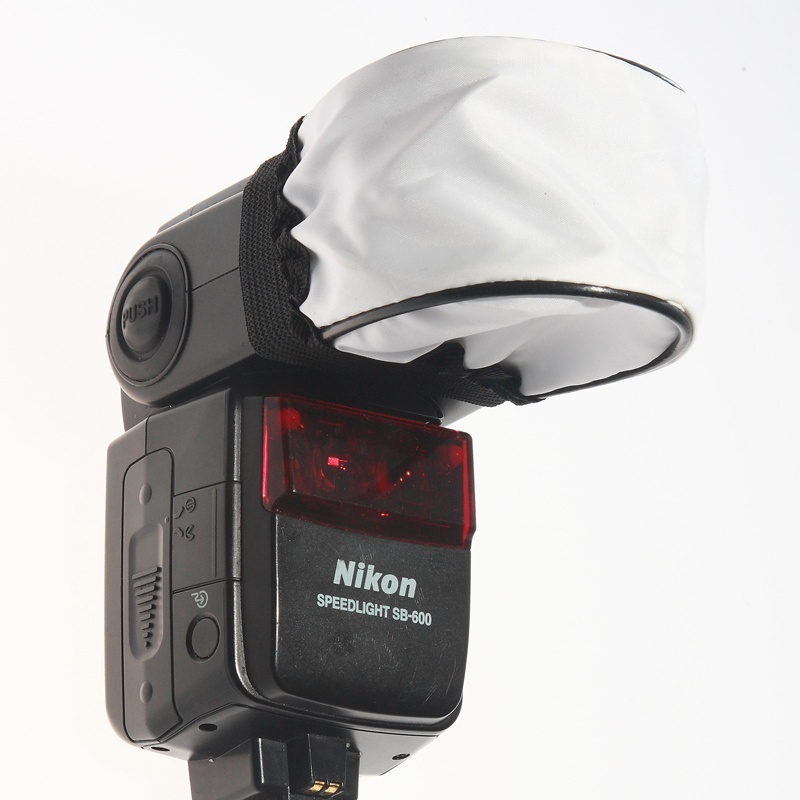 This fits cleanly over the head of your existing flash, eliminating the need for cumbersome attachments or hooks. They disperse the light over a wider area for a softer, more balanced and natural effect.